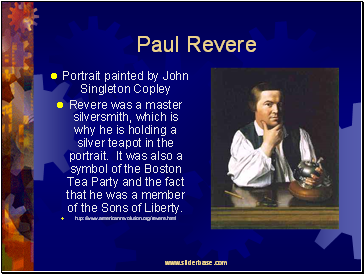 Revere was a master silversmith, which is why he is holding a silver teapot in the portrait. 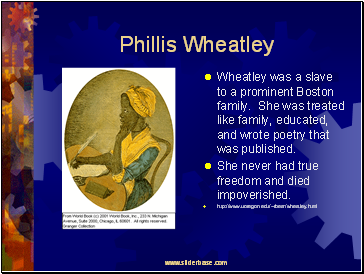 It was also a symbol of the Boston Tea Party and the fact that he was a member of the Sons of Liberty. 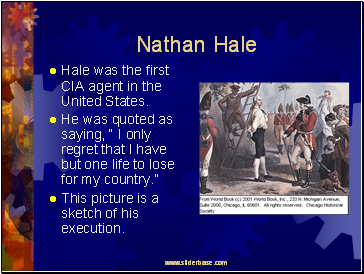 Hale was the first CIA agent in the United States. This picture is a sketch of his execution. 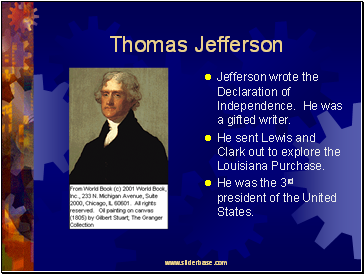 Jefferson wrote the Declaration of Independence. He was a gifted writer. 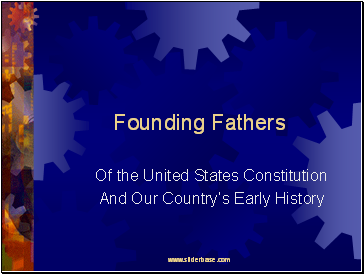 He sent Lewis and Clark out to explore the Louisiana Purchase. 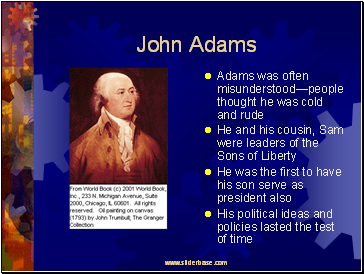 He was the 3rd president of the United States. 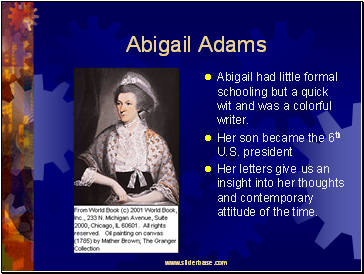 Abigail had little formal schooling but a quick wit and was a colorful writer. Her letters give us an insight into her thoughts and contemporary attitude of the time. 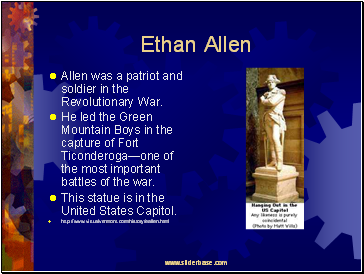 Allen was a patriot and soldier in the Revolutionary War. He led the Green Mountain Boys in the capture of Fort Ticonderoga—one of the most important battles of the war. This statue is in the United States Capitol. 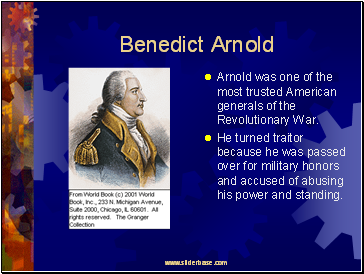 Arnold was one of the most trusted American generals of the Revolutionary War. He turned traitor because he was passed over for military honors and accused of abusing his power and standing.